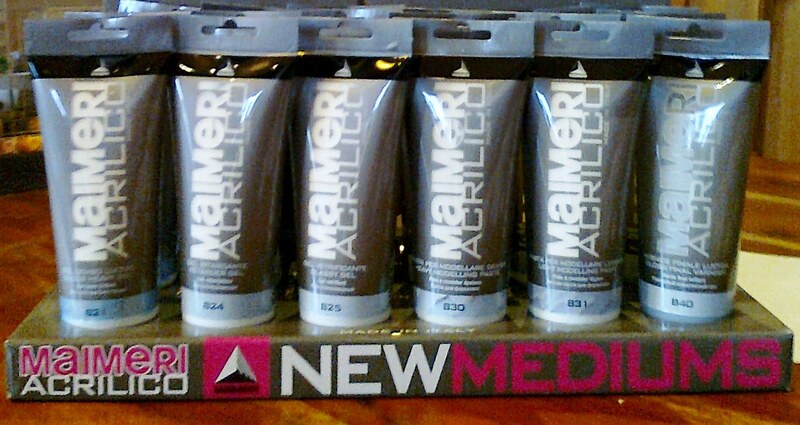 Premium Art Brands are pleased to announce the launch of Maimeri Mediums for Crafting, to the UK Market. Premium Art Brands were appointed the exclusive distributor for the entire Maimeri Art & Craft Materials range earlier this year. This new range comes in an attractive 200ml easy to use Flexi tube. The range consists of 6 crafting mediums including Gesso, Iridescent Paste, Modelling Paste, Gloss Gel, Matt Gel and Glassy Gel. The mediums can be used to add texture, seal, glue, protect and enhance any craft project.